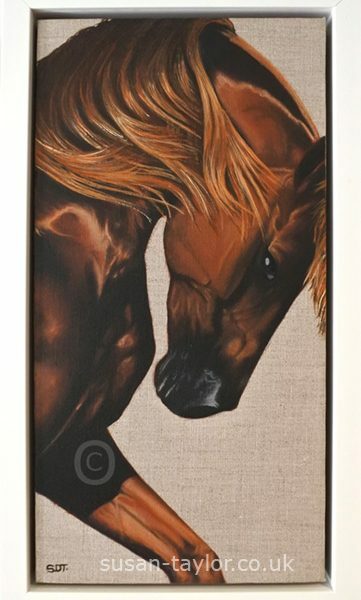 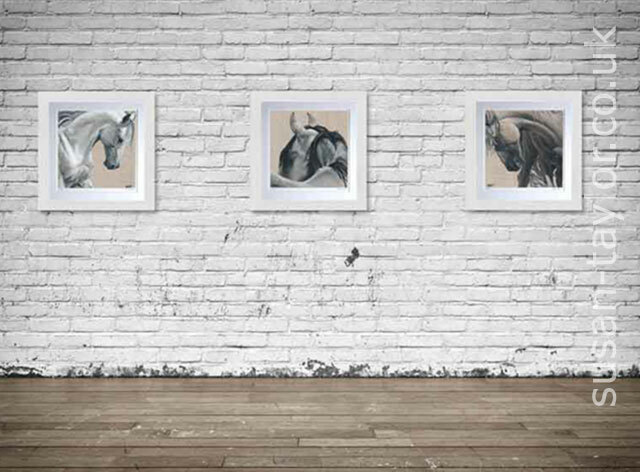 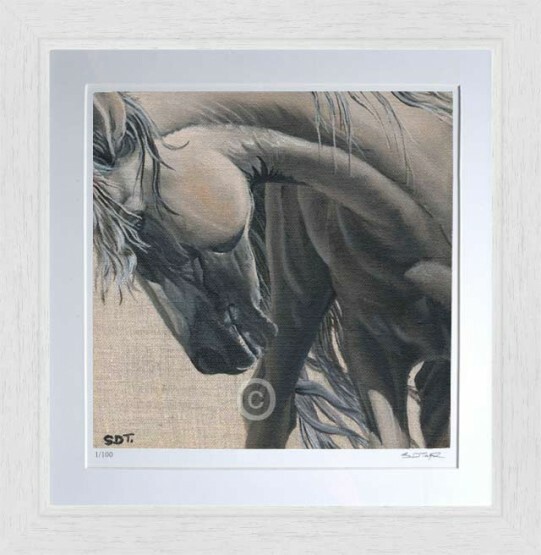 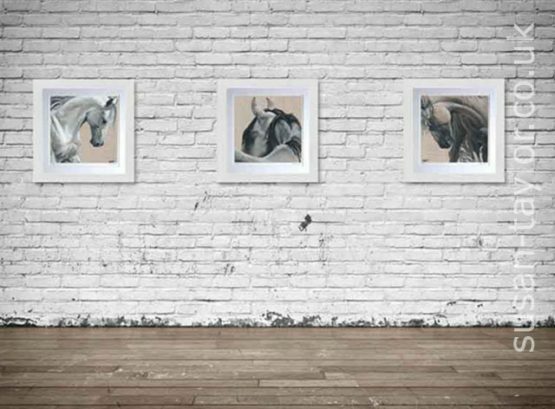 Is the forth in a series of 8 paintings focusing on Equine Art and the very essence that draws us humans to these stunning animals. 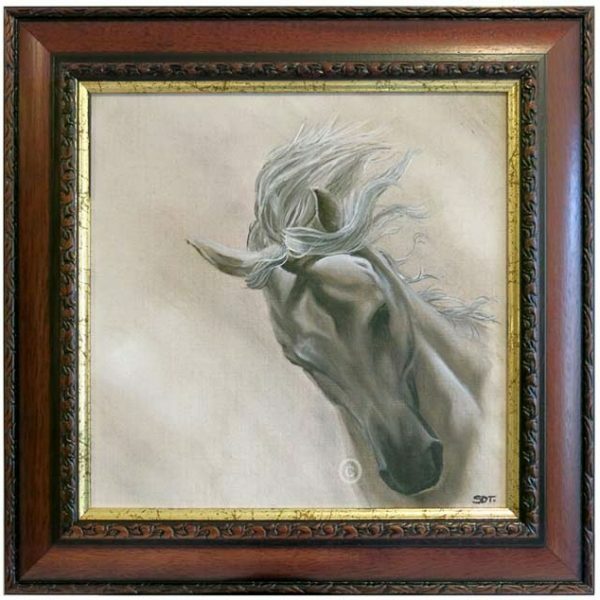 This painting depicts a Champagne Palomino horse bowing his head, nostrils flared, as he moves about his sandy paddock with flare and prowess. The background just bear linen canvas so as not to detract from the subject, which is the focal point of this piece of art and of the whole ‘Spirit of The Horse’ series. 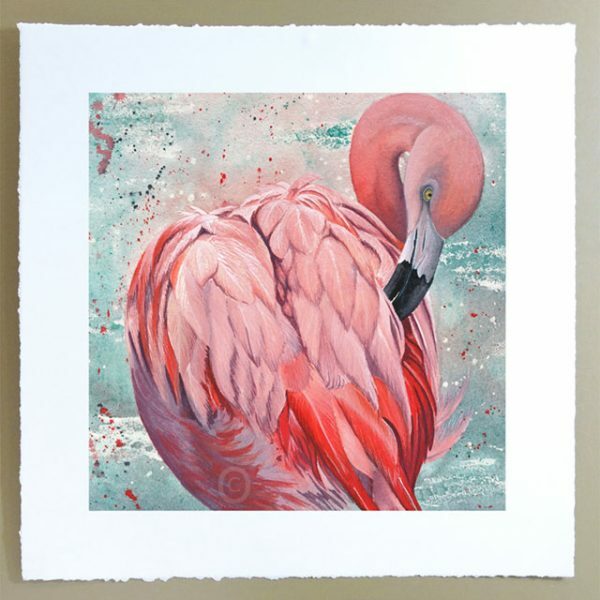 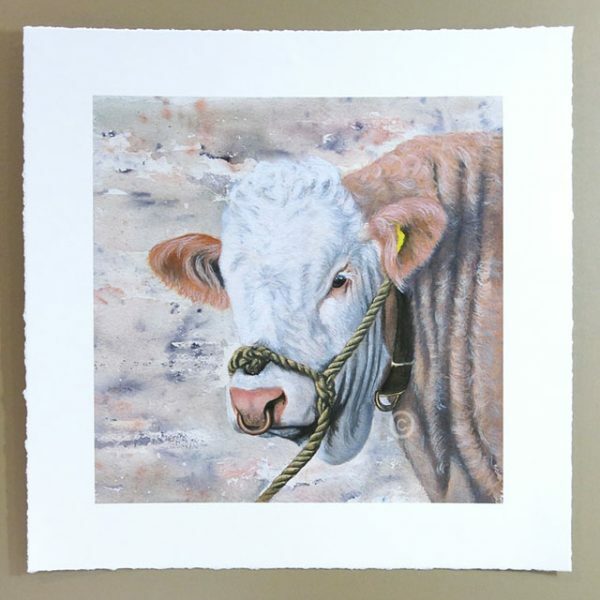 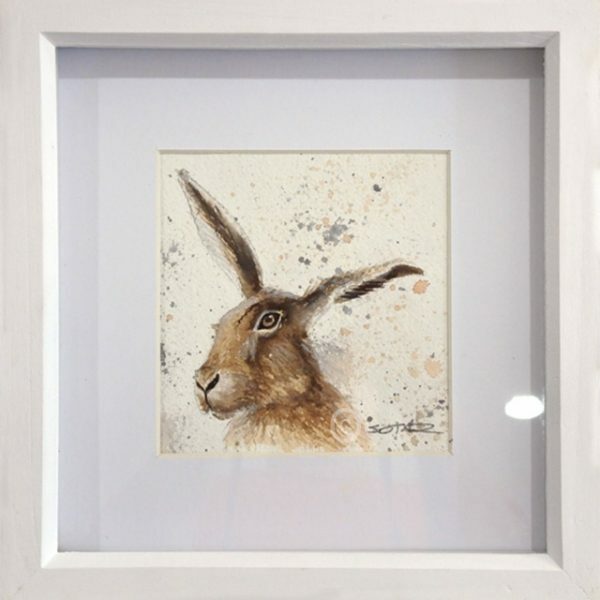 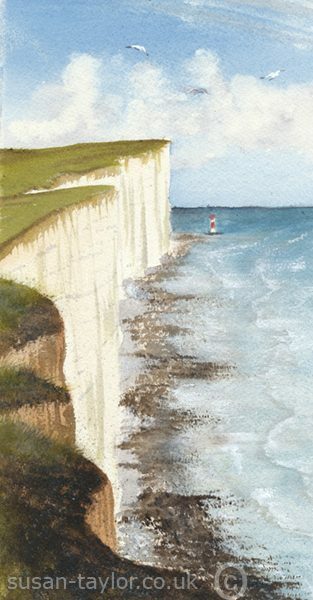 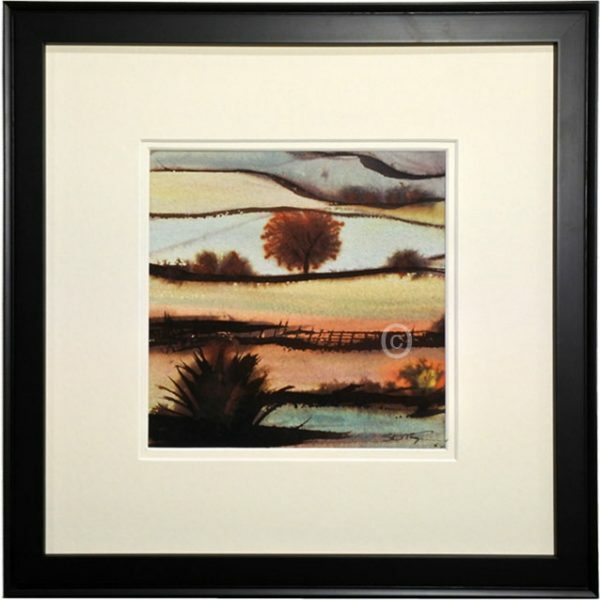 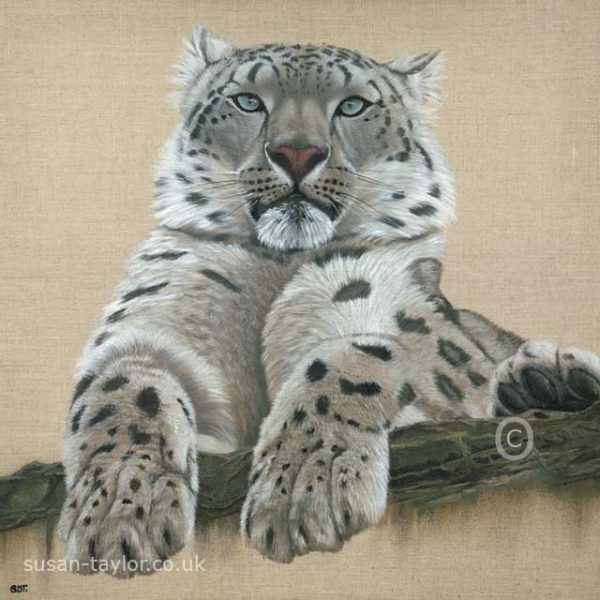 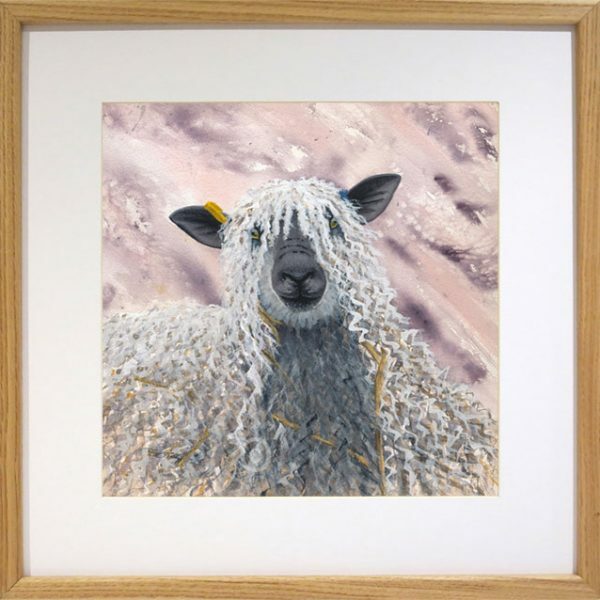 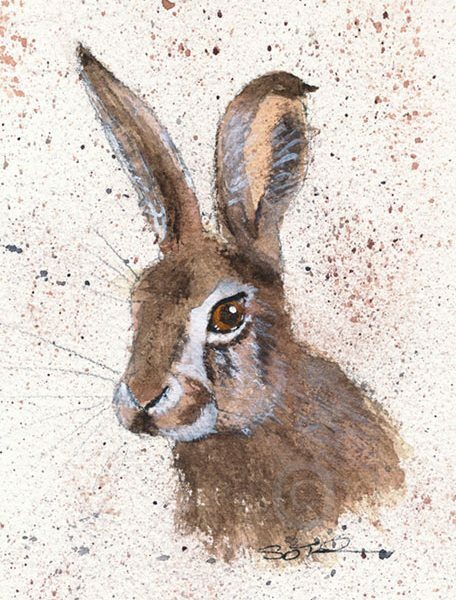 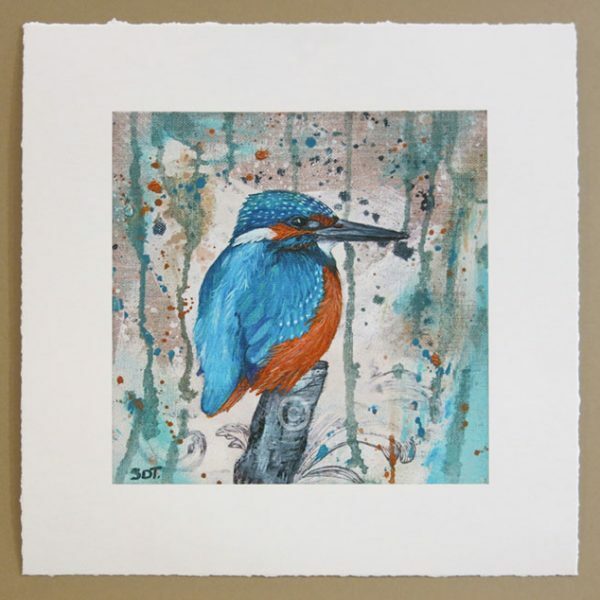 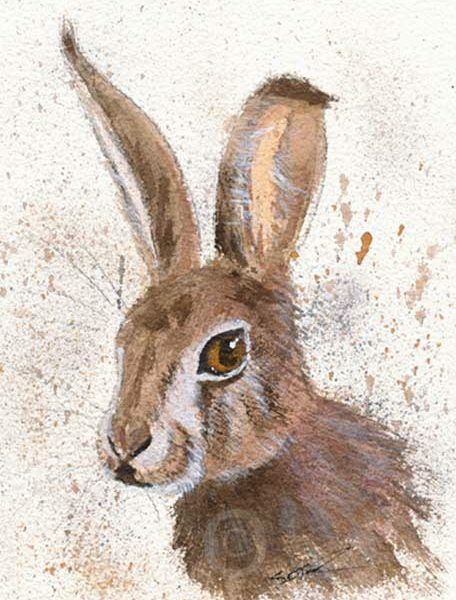 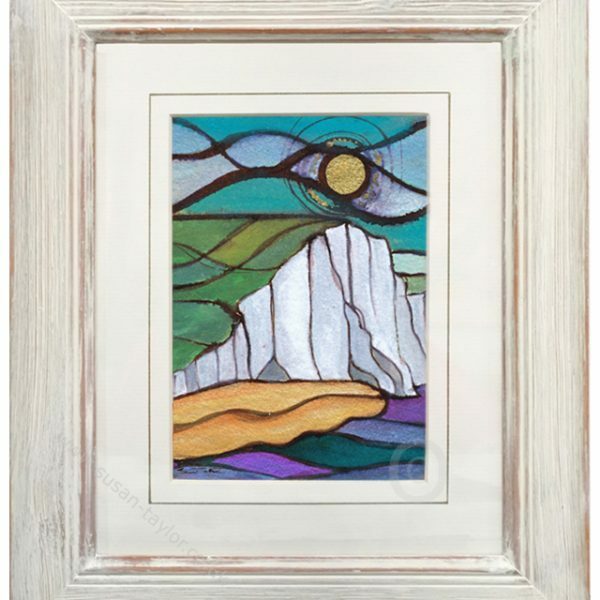 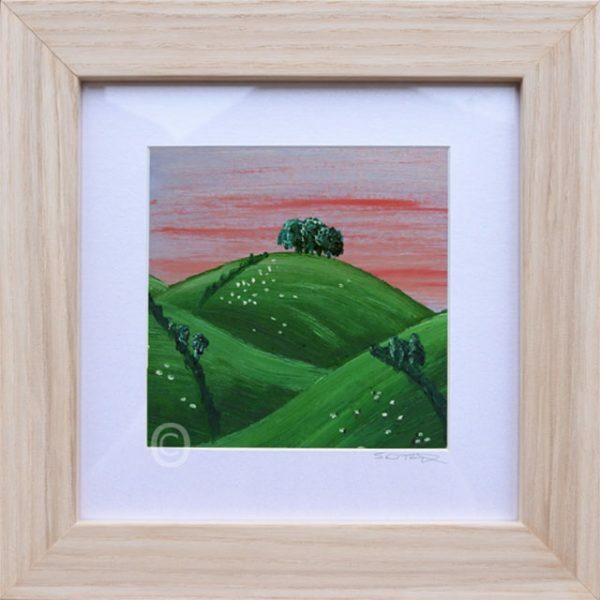 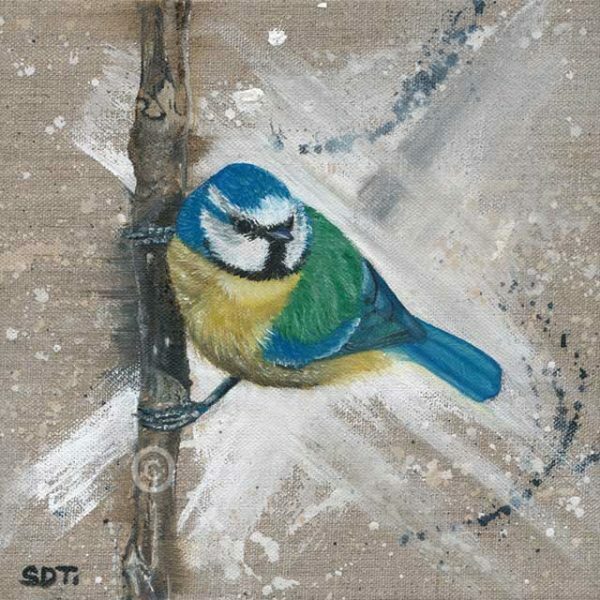 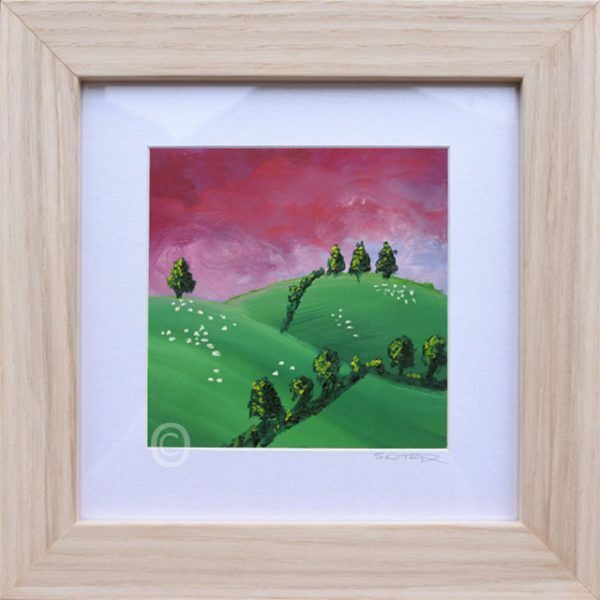 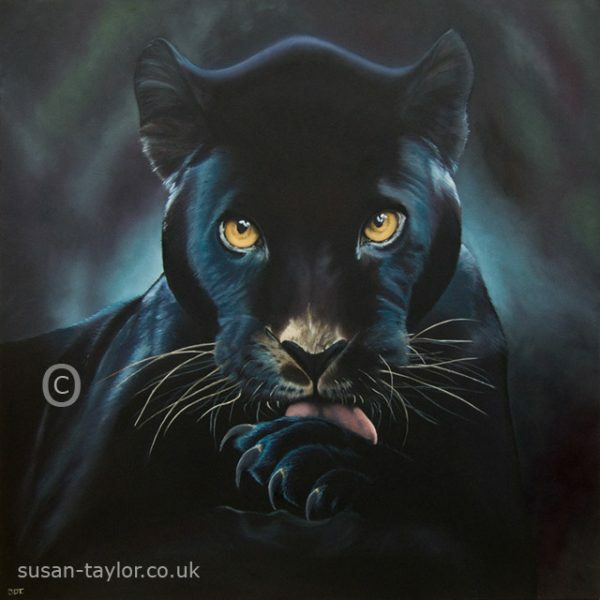 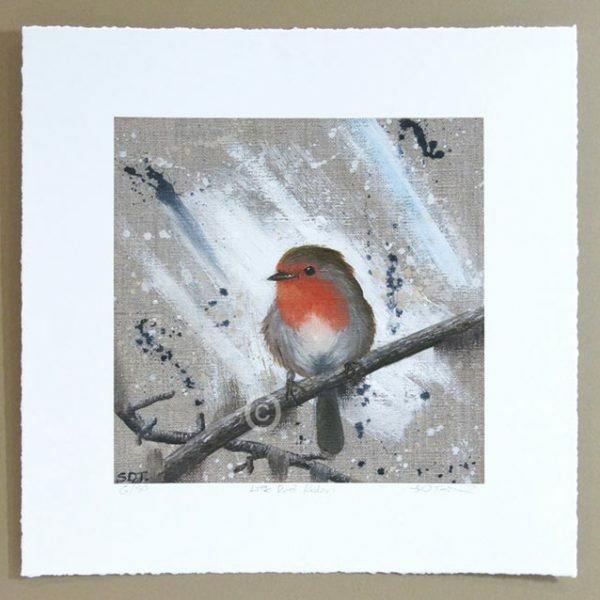 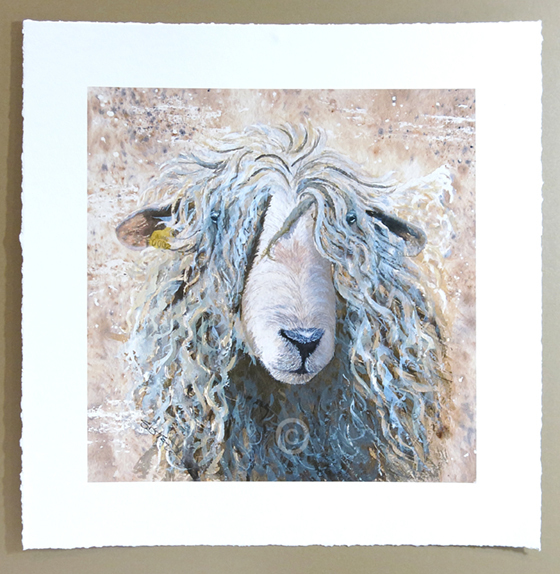 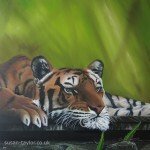 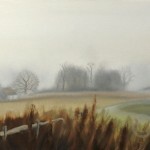 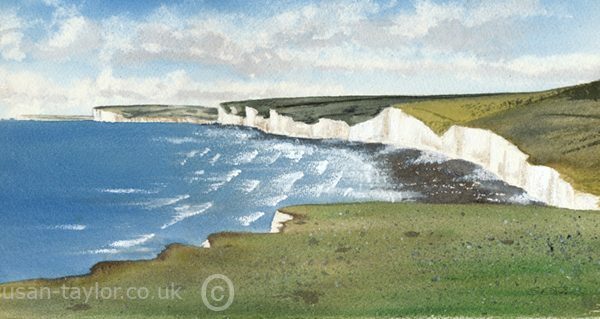 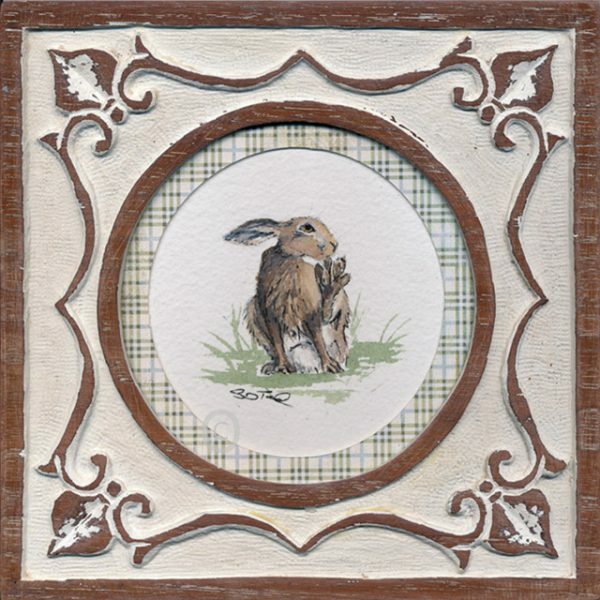 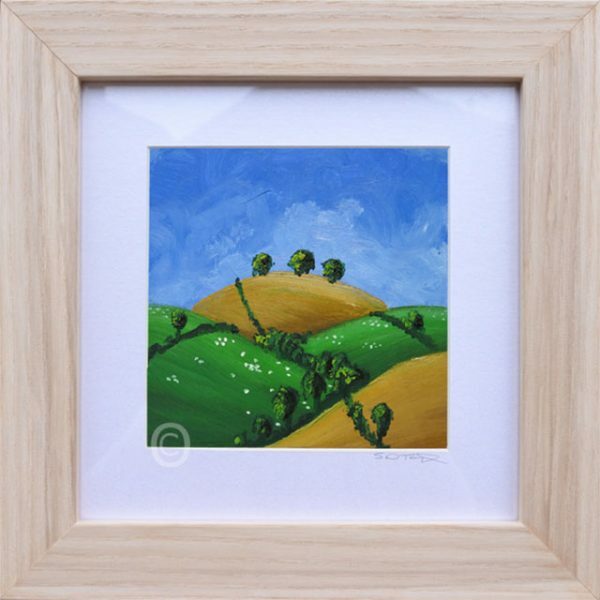 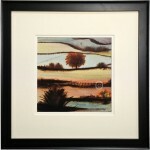 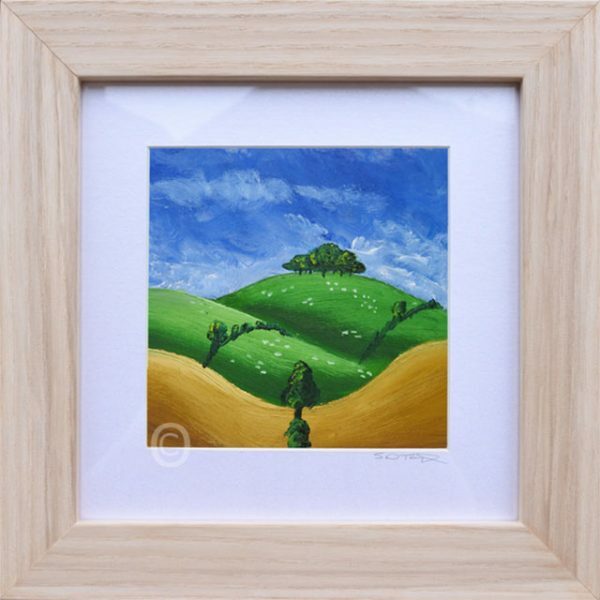 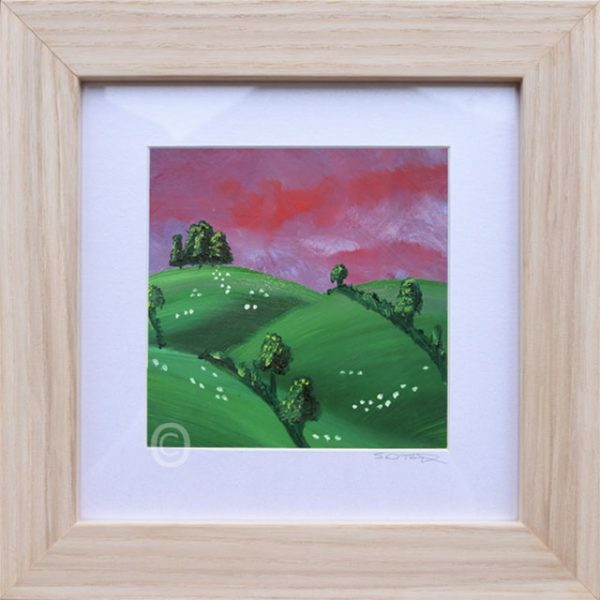 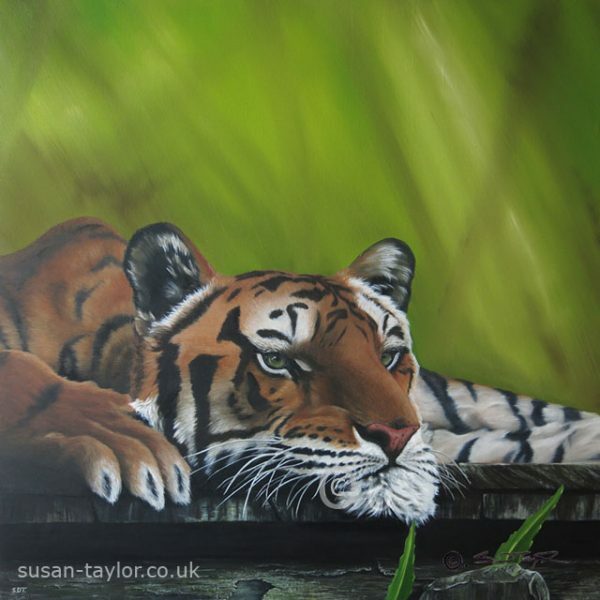 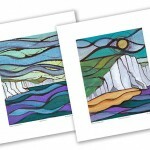 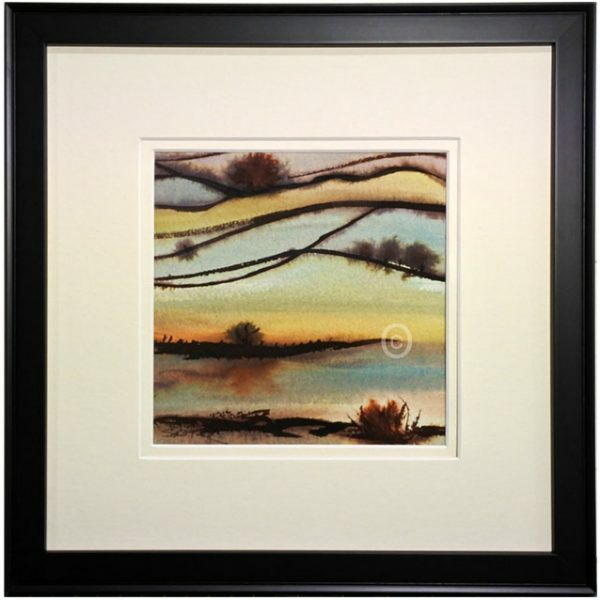 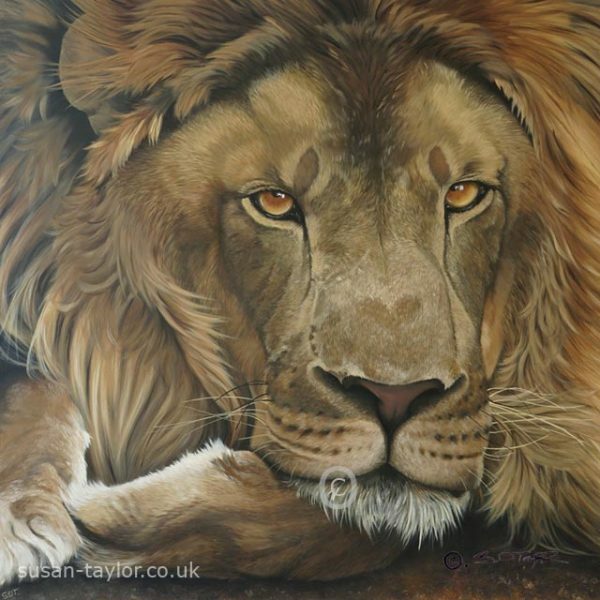 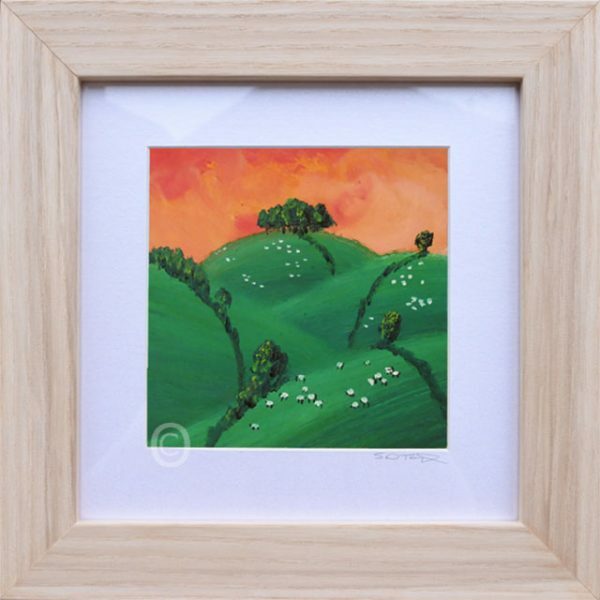 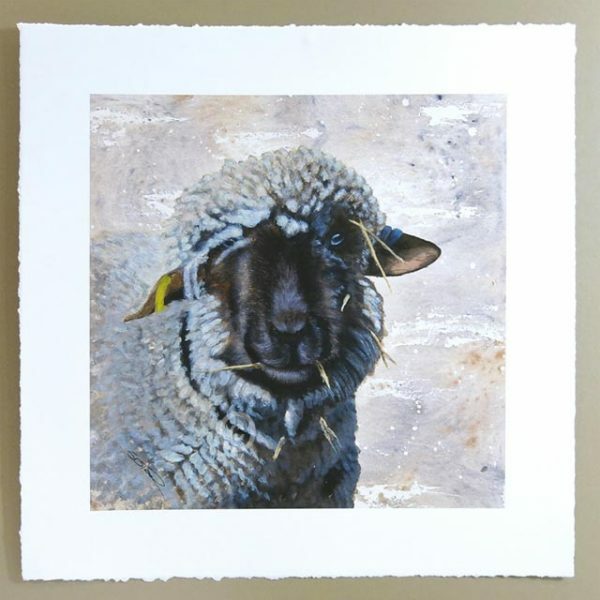 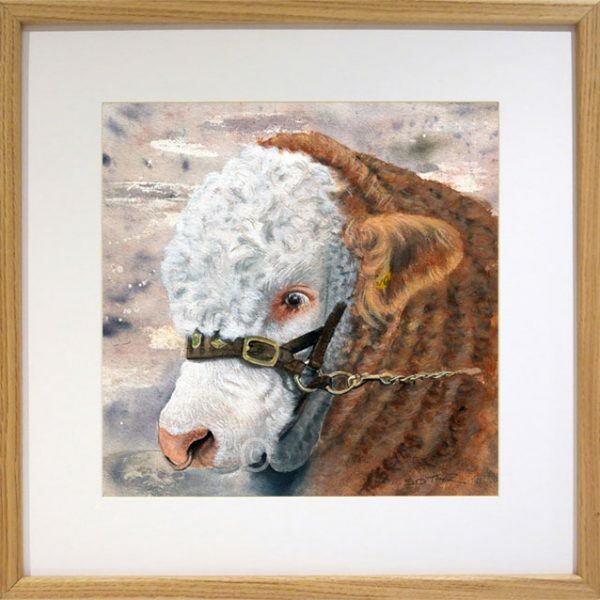 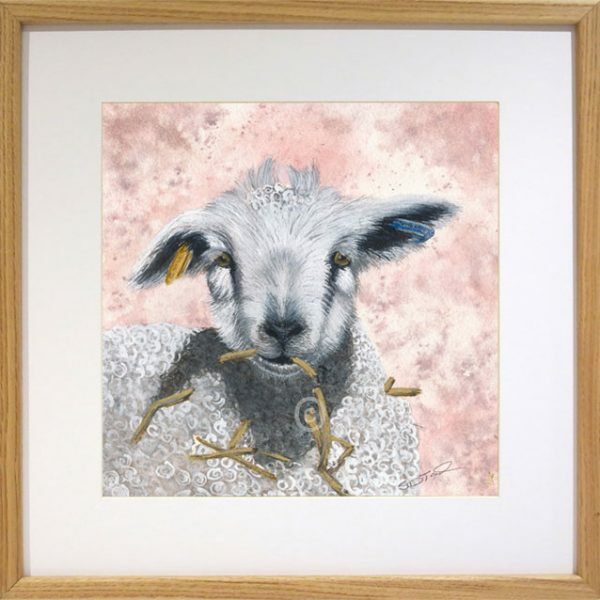 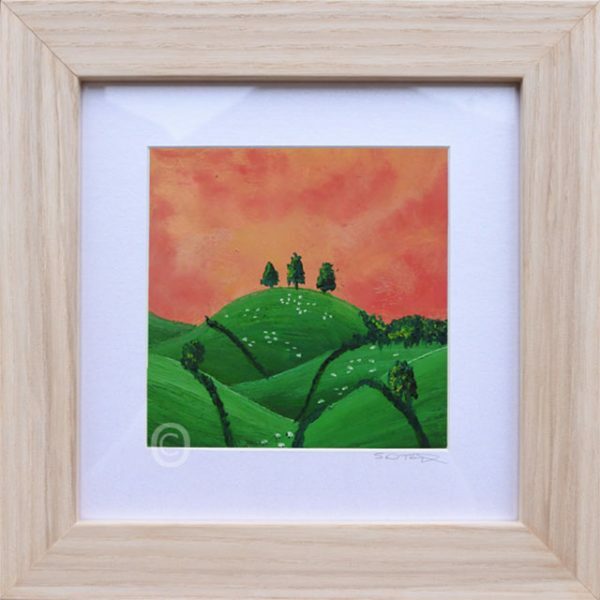 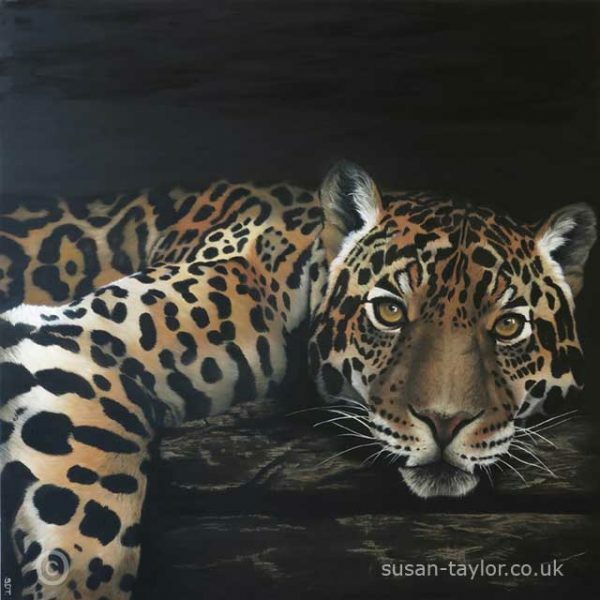 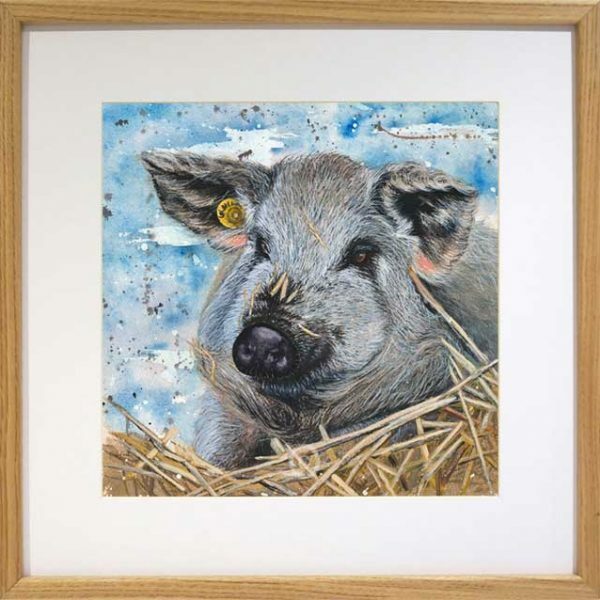 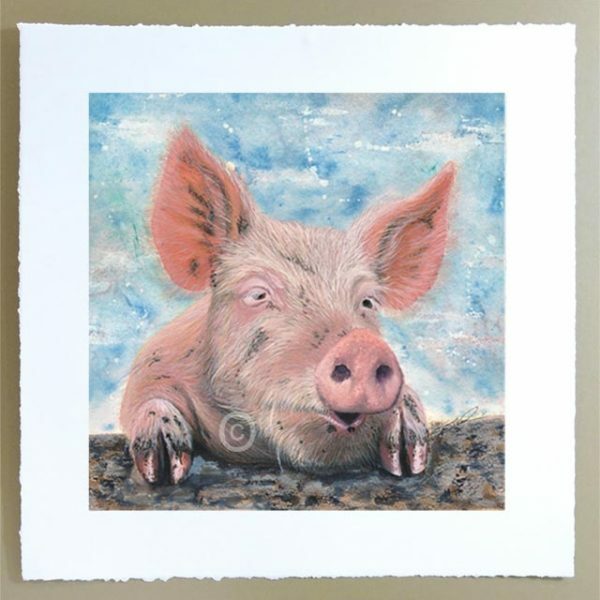 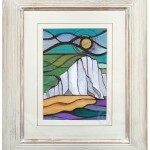 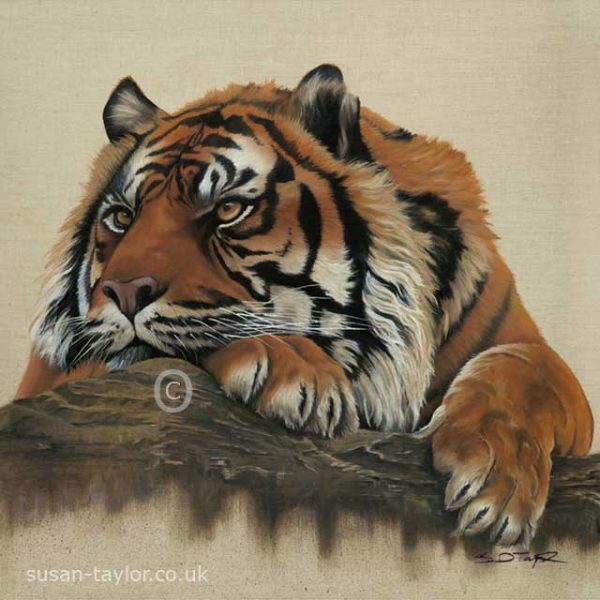 The original is 20cm square, painted with oils on linen canvas board and set a deep white pan frame. 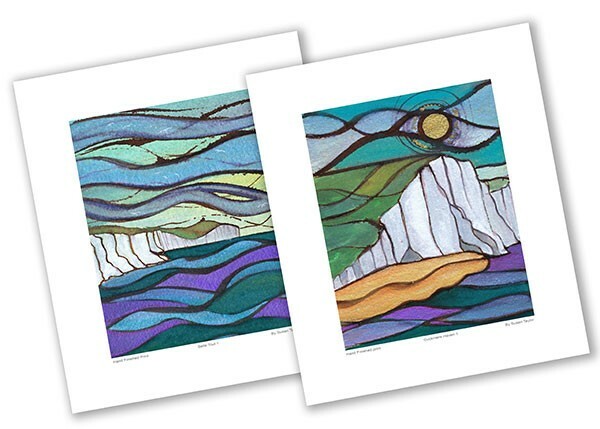 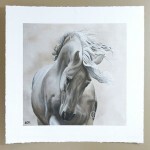 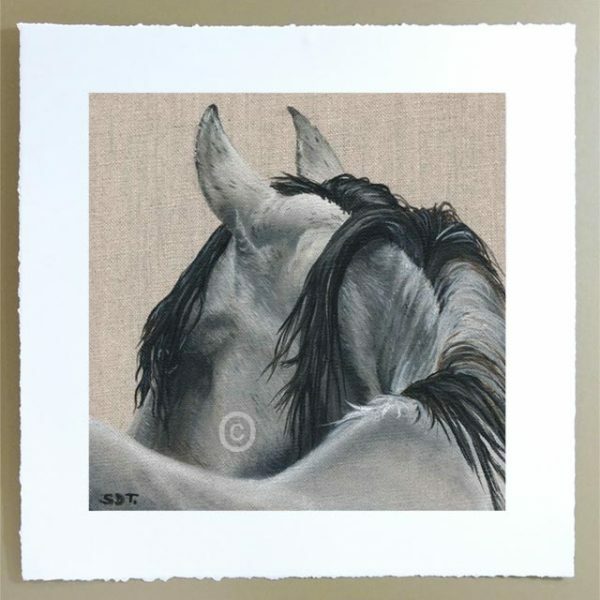 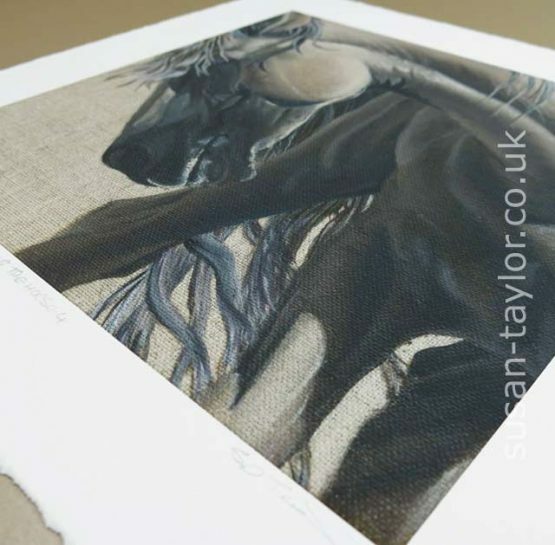 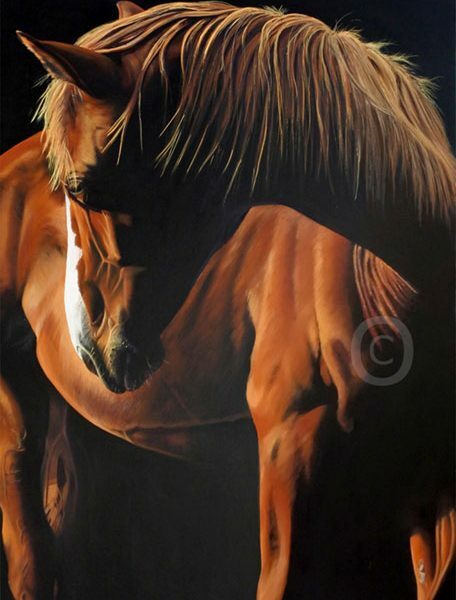 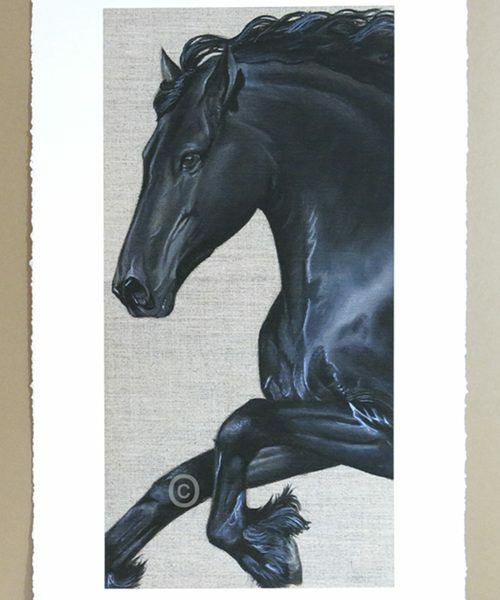 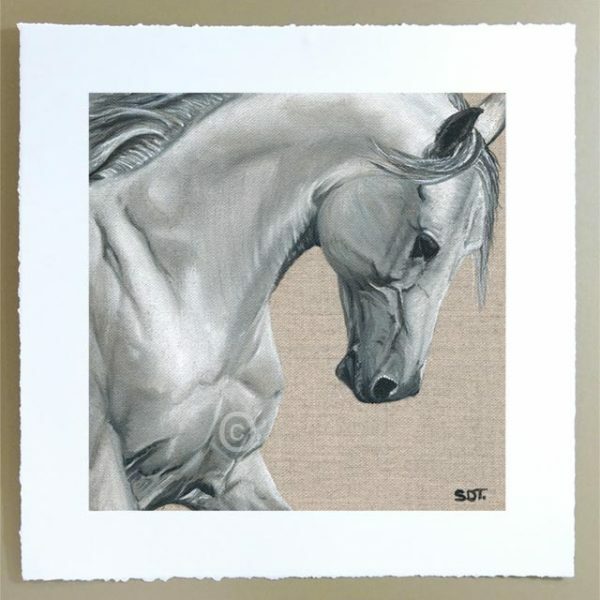 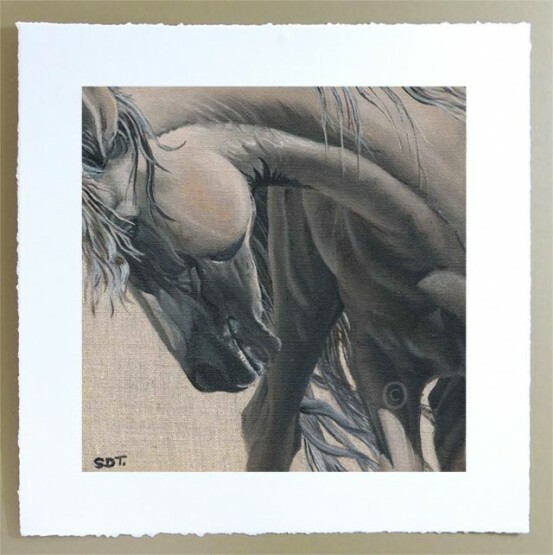 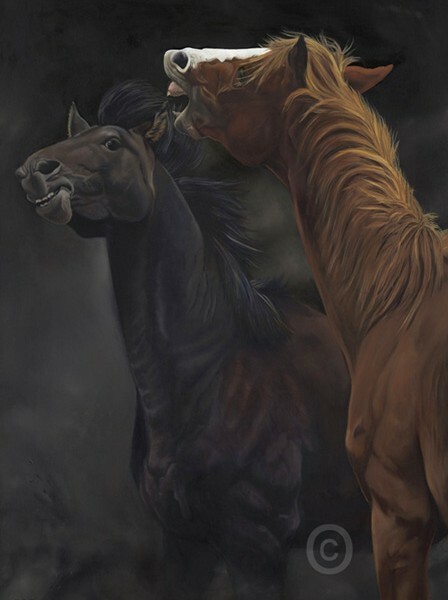 Spirit of the Horse 4 – Print is a signed limited edition of 50.